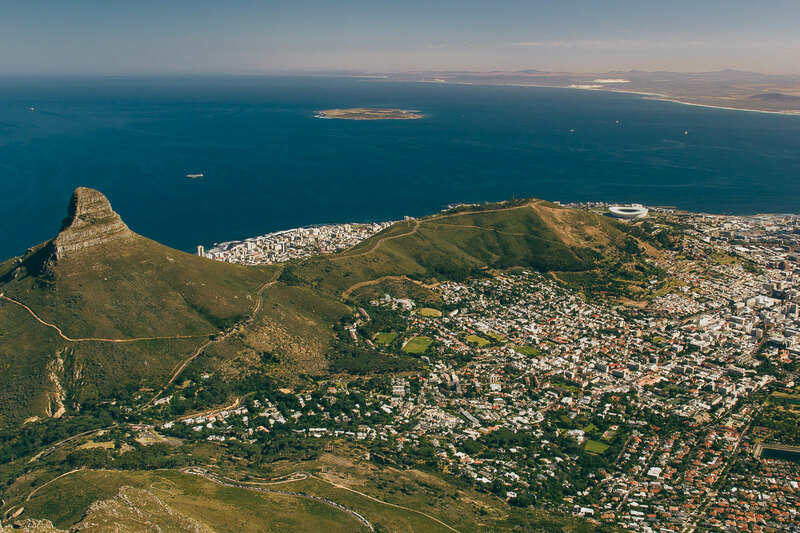 Coming in from Robben Island you can see the outskirts and townships of Cape Town hugging the base of Table Mountain. 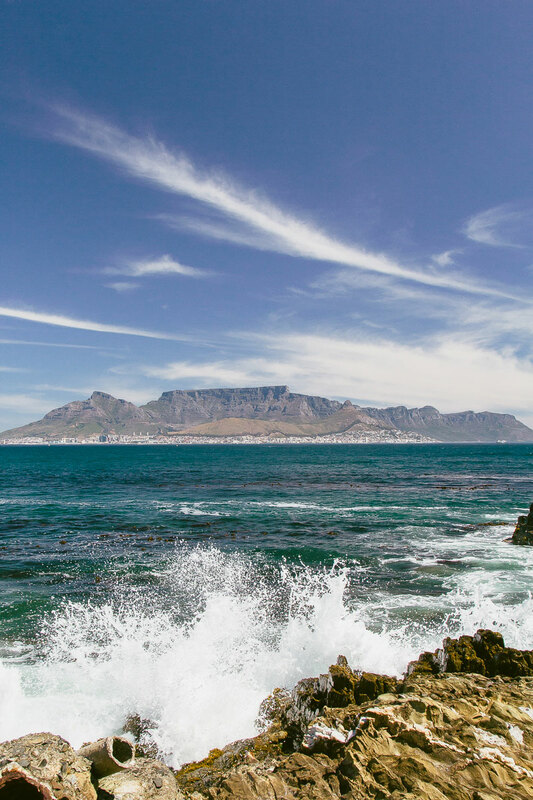 Table Mountain – a 1087-metre flat-topped massif with dramatic cliffs and eroded gorges – dominates the northern end of the Cape Peninsula. 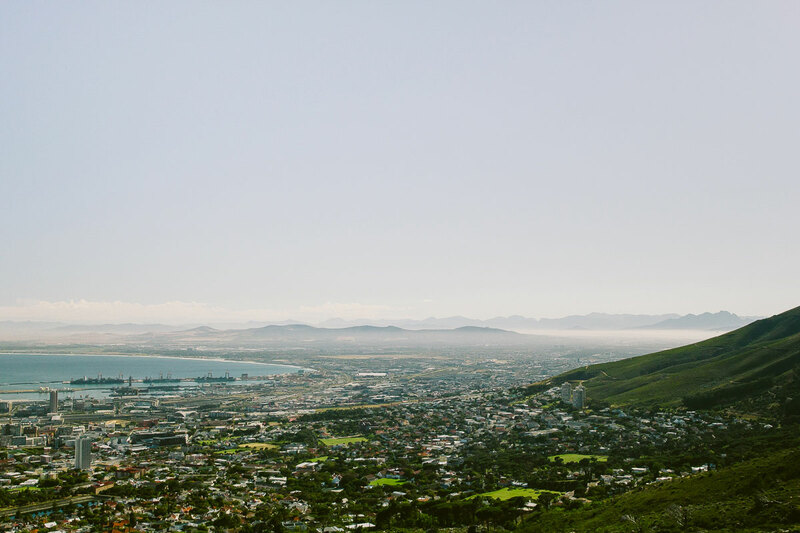 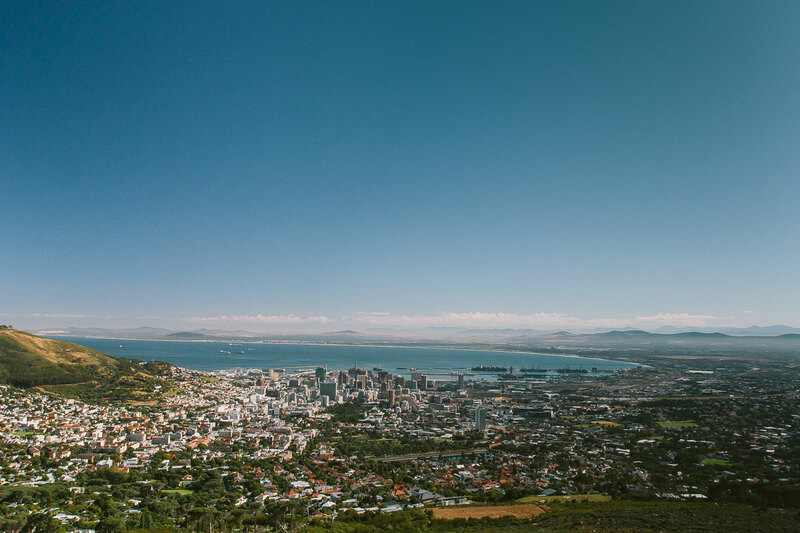 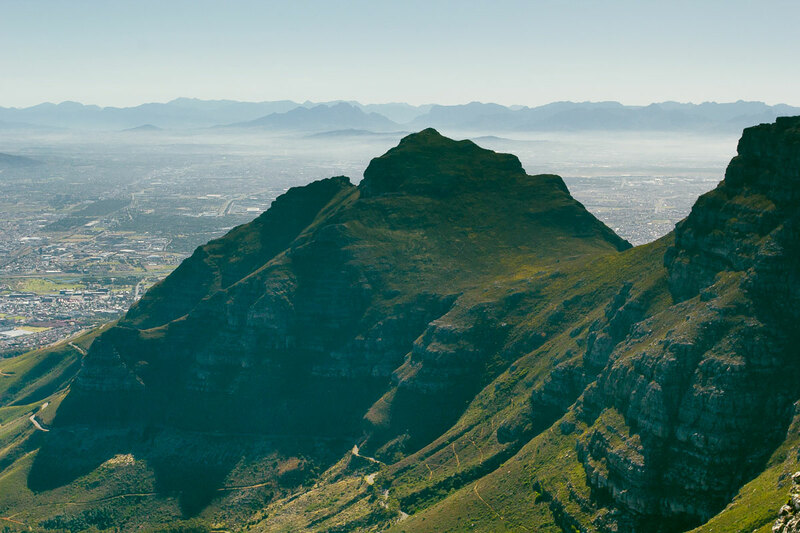 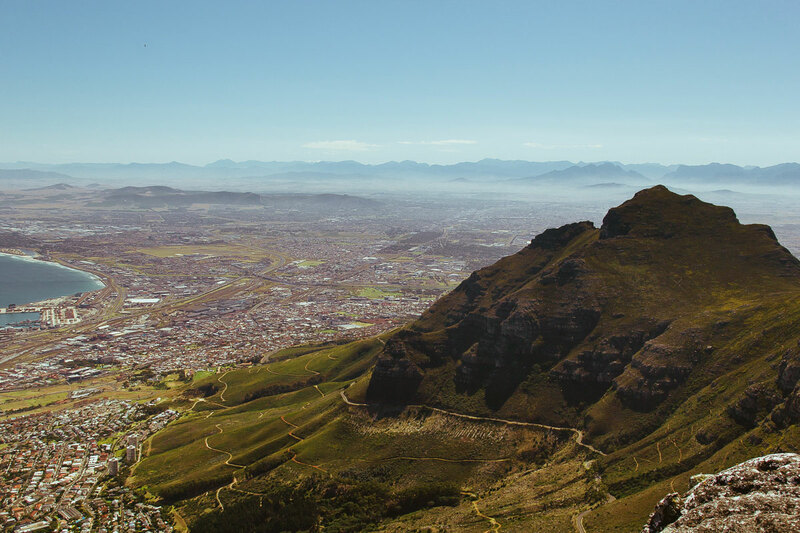 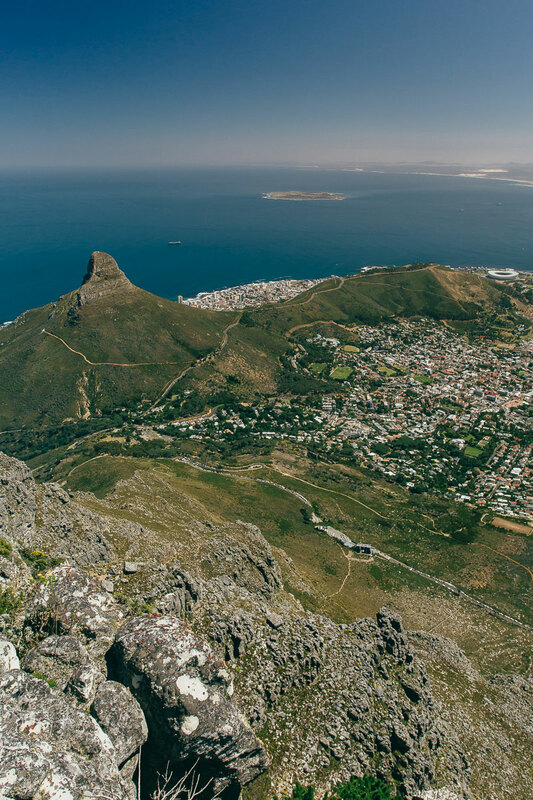 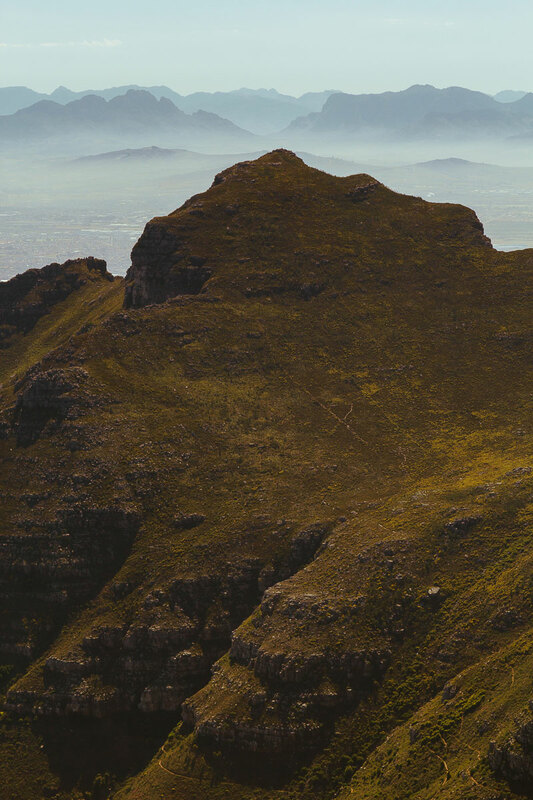 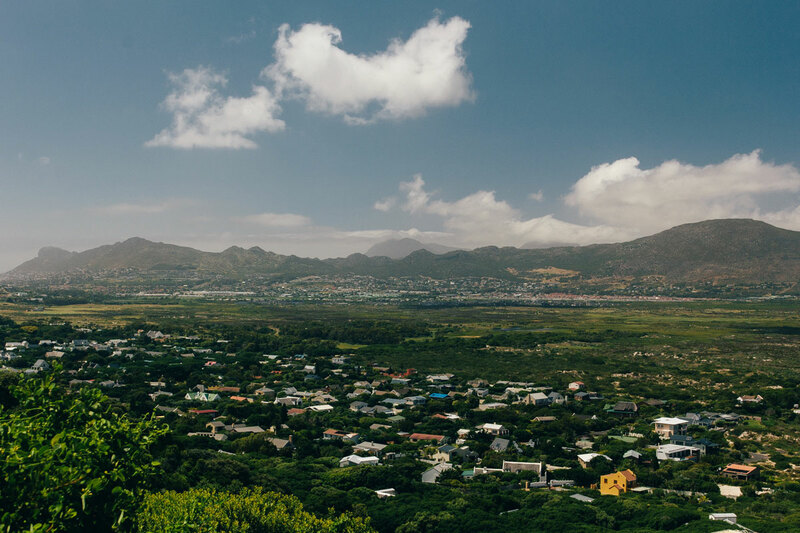 Its north face overlooks the city centre with Lion’s Head and Signal Hill to the west and Devil’s Peak to the east. 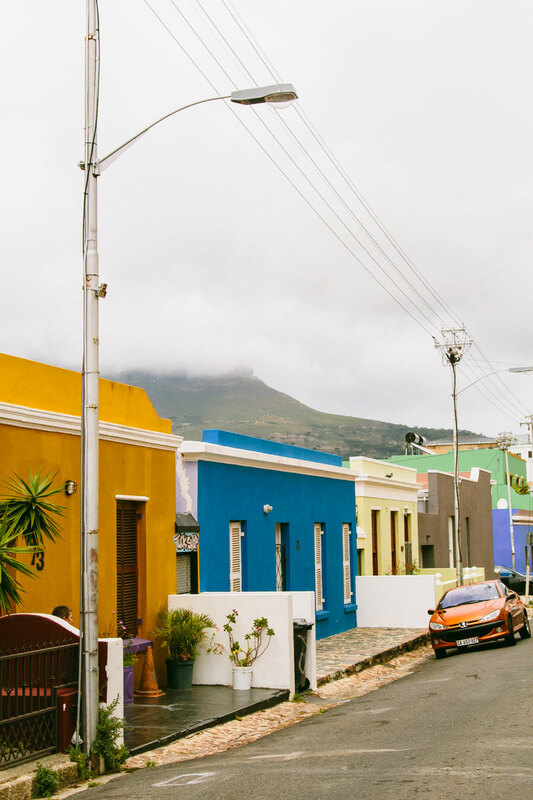 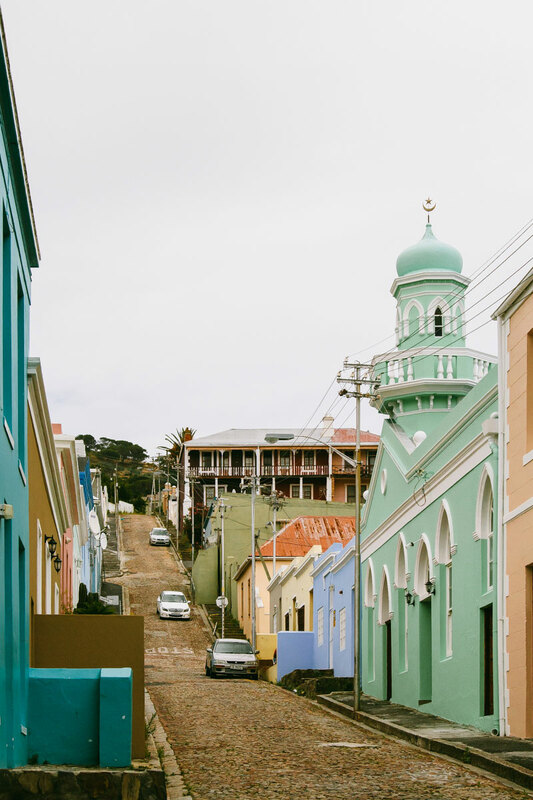 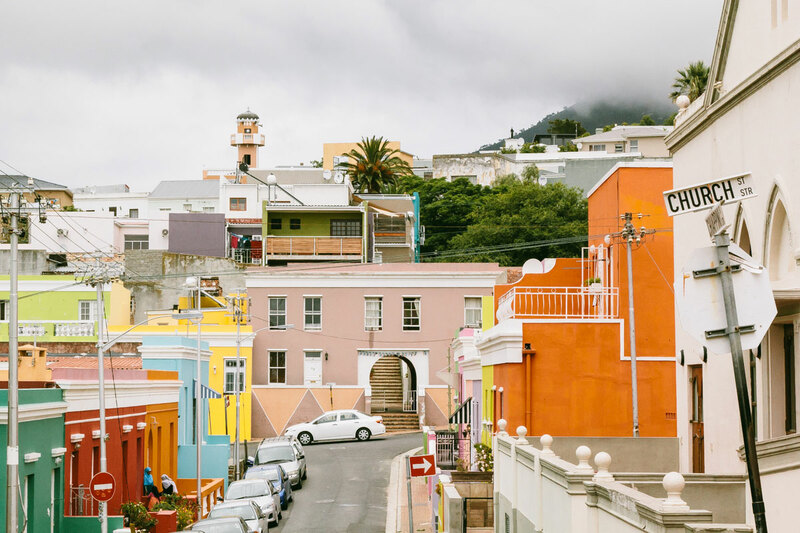 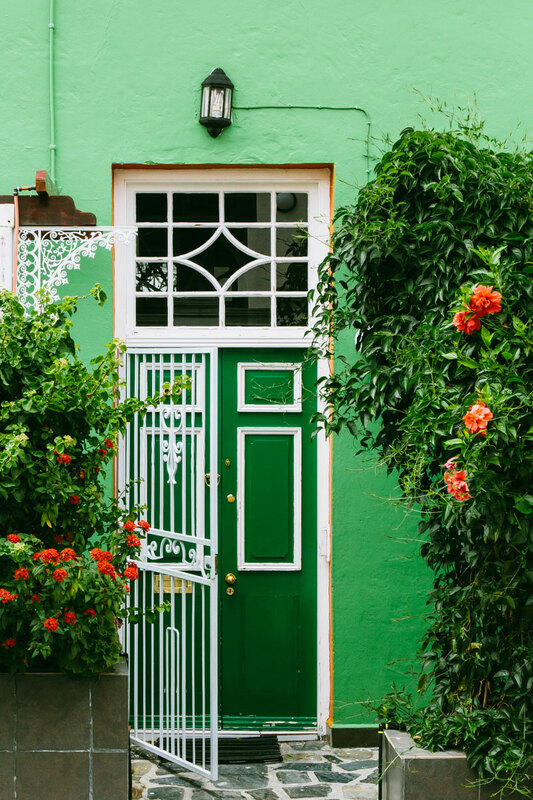 Cape Town’s rich urban texture is immediately apparent in its diverse architecture: an indigenous Cape Dutch style, rooted in northern Europe; the English introduced Georgian and Victorian buildings and Muslim community made the neighborhood Bo-Kaap their spiritual home with its brightly coloured houses and is situated at the foot of Signal Hill. 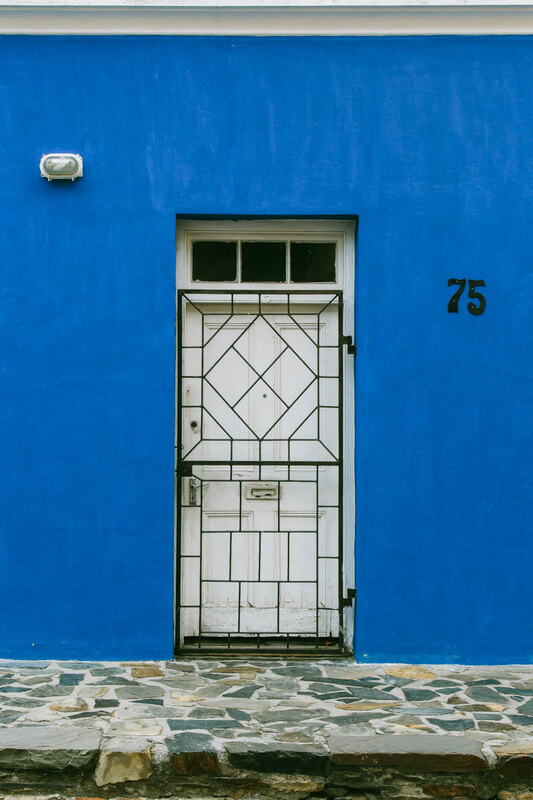 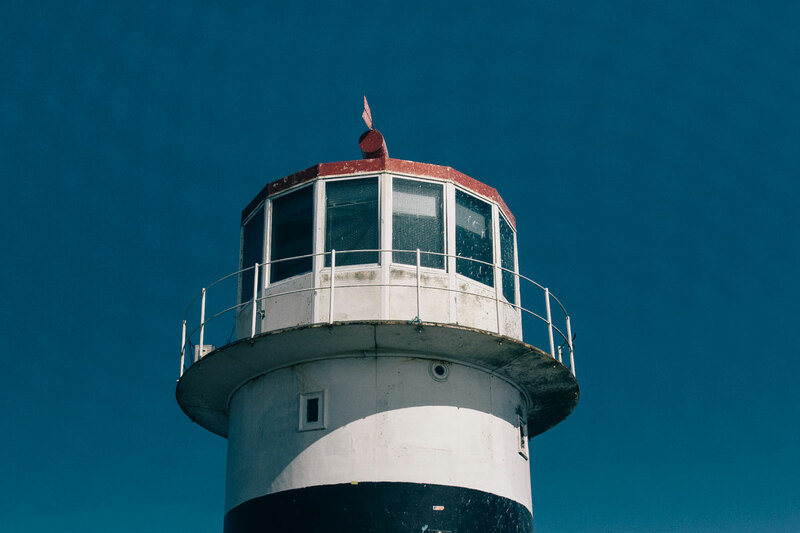 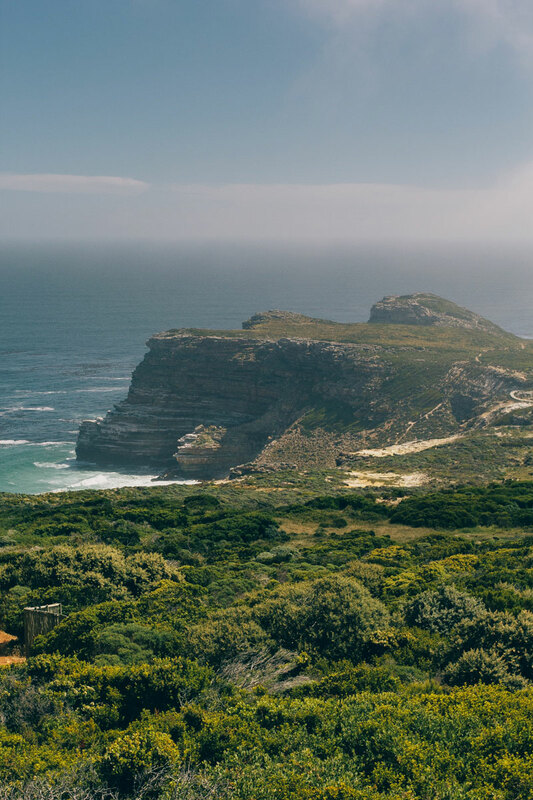 Traveling south through small villages like Kalk Bay, you’ll eventually reach Cape Point and Cape of Good Hope. 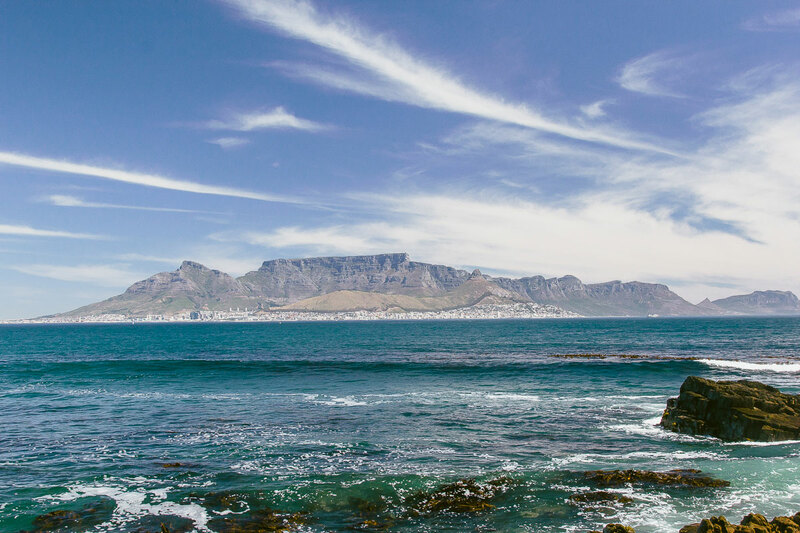 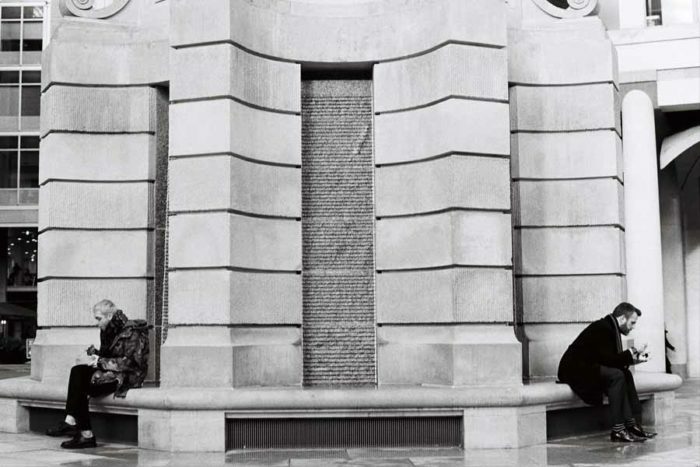 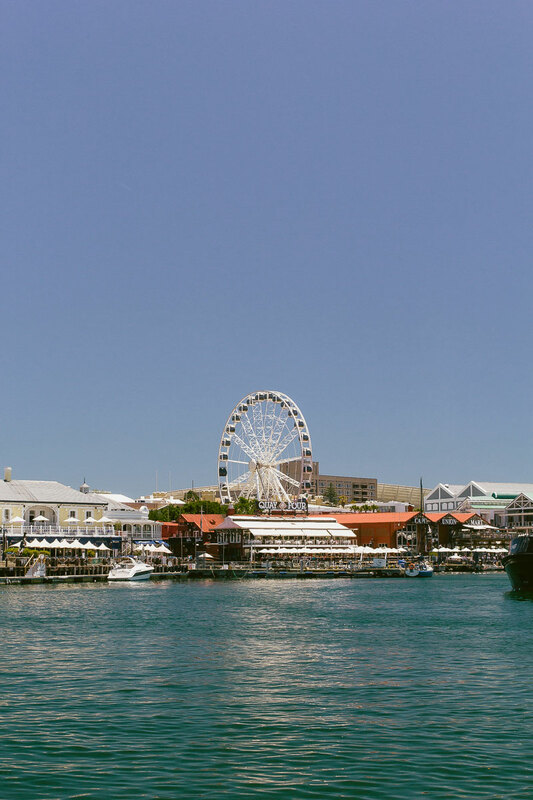 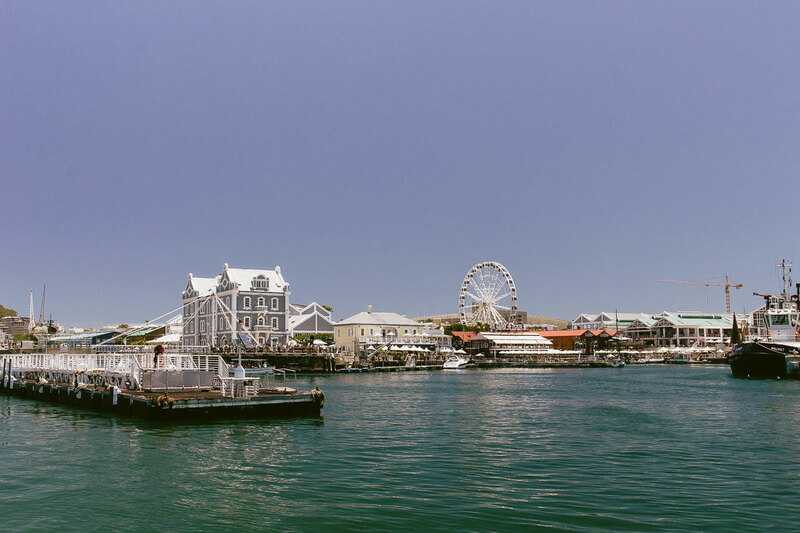 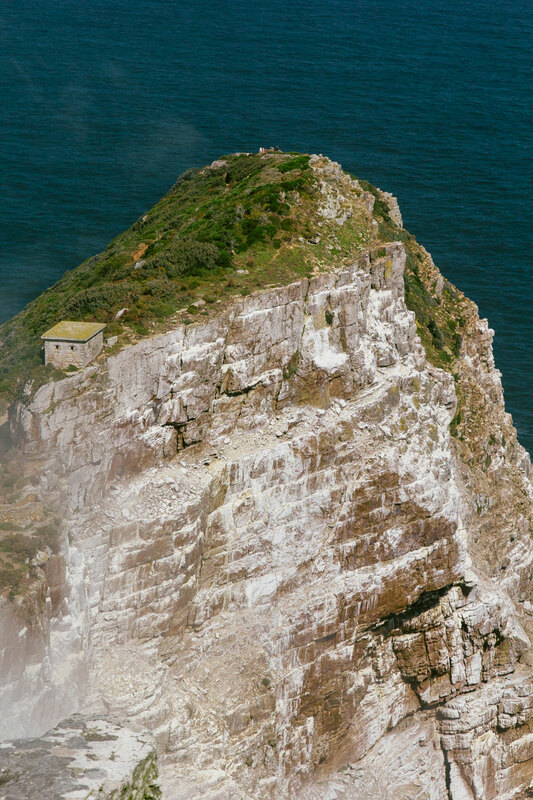 The Cape Peninsula is 52 km long from Mouille point in the north to Cape Point in the south. 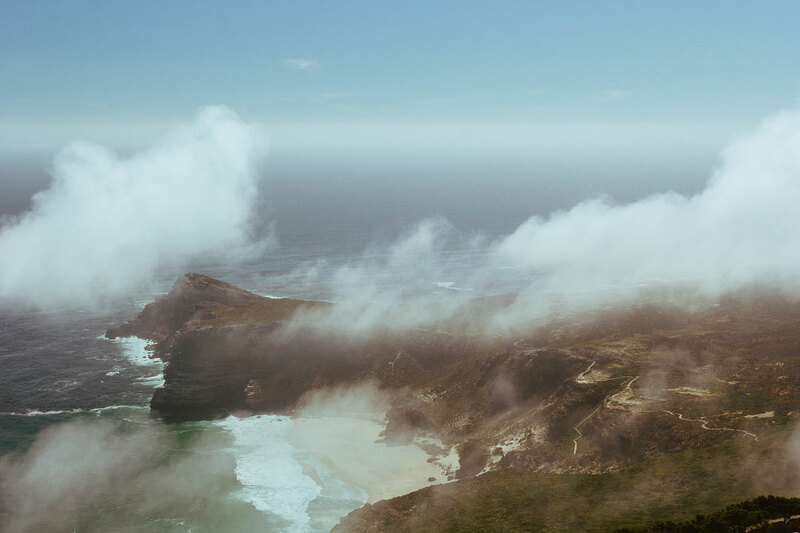 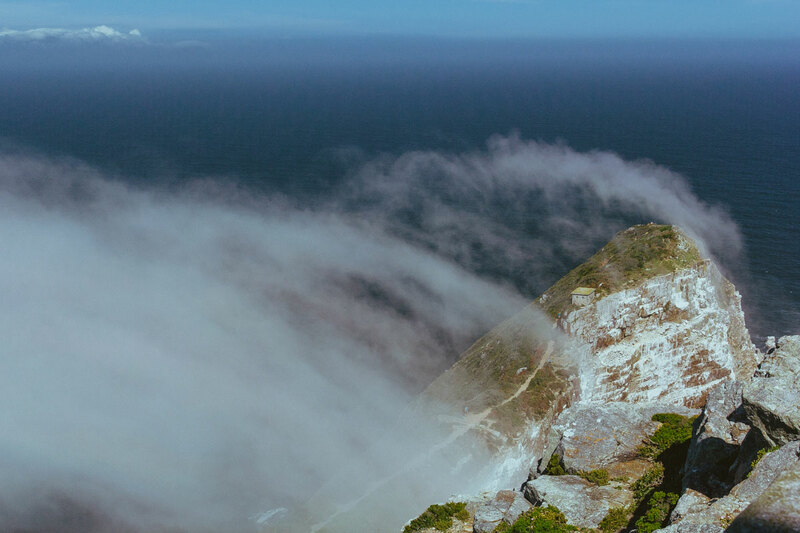 The Cape of Good Hope is sometimes presented as the meeting point of the Atlantic Ocean and Indian Ocean. 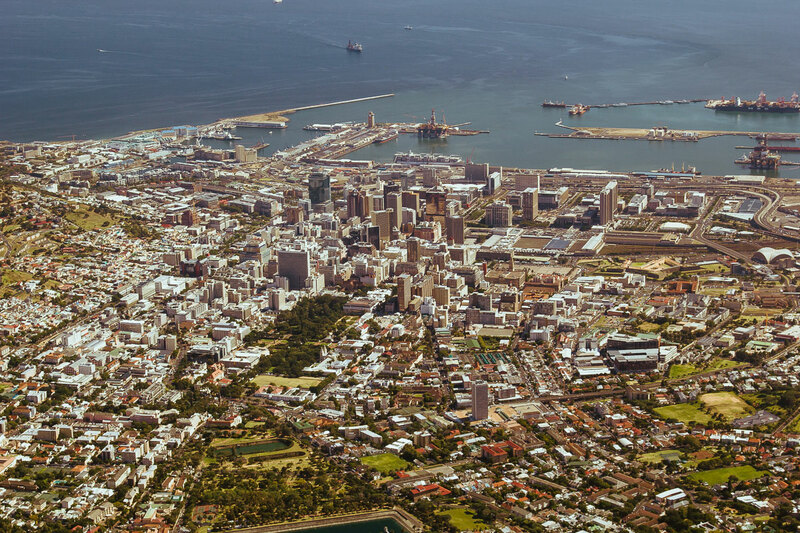 However the meeting point is at Cape Agulhas, about 200 km (120 mi) to the southeast.